Flexible responsive service, practical cost-effective solutions, proactive performance monitoring, remote and on-site support and competitive rates. If you would like to explore how your systems could be enhanced we are here to help. Academy Networks is a computer services company providing support to small and medium sized businesses in London and the Home Counties. Our services range from upgrading and supporting existing systems to deploying complete network infrastructures from scratch. Specialising in Microsoft Windows Server and cloud based solutions we deliver robust, scalable, low maintenance systems tailored to your specific business needs. The design of the physical network has a major impact on speed and reliability of data transmission. Most organisations now use Cat 5e/6 structured cabling which offers a robust and flexible solution. Each computer has a dedicated cable to the switch and can be connected or removed from the physical network without disruption. Wireless networking offers a fast, flexible and cost effective solution for buildings where cabling is not yet in place or would be difficult to install. Replacing old hubs with inexpensive switches greatly enhances the speed of data transmission by creating dedicated connections between the source and destination. Gigabit ethernet switches and adapters are now available at a relatively modest cost and, used as a backbone, provide an excellent means of reducing bottlenecks to the servers. 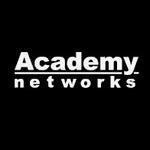 Academy can advise and deploy all aspects of the physical network including cabling, topology, switches and routers. Microsoft Small Business Server, Hosted Exchange e-mail, On-site and remote support, VOIP telephone systems, remote access solutions (VPN), backup and disaster recovery, virus protection and network security. Help you interact seamlessly with partners, colleagues, and customers however far away. Academy Networks can deploy and implement Microsoft Lync Online to provide affordable enterprise class unified communications to businesses of any size. The solution is an integral part of Office 365 which provides a hosted solution eliminating the need for capital investment in on premises servers. Next-generation cloud communications services that connect people in new ways, from virtually anywhere. Lync Online transforms interactions with colleagues, customers, and partners from today's hit-or-miss communication to a more collaborative, engaging, and effective experience. Connect with Windows Live Messenger contacts using IM, audio and video calls directly from Lync. 3CX Phone System for Windows is a software-based IP PBX that replaces a proprietary hardware PBX / PABX. 3CX's IP PBX has been developed specifically for Microsoft Windows and is based on the SIP standard – making it easier to manage and allowing you to use any SIP phone (software or hardware). The 3CX PABX can be installed on a standard Windows based PC and is naturally scalable without the expensive add-ons associated with conventional phone systems. 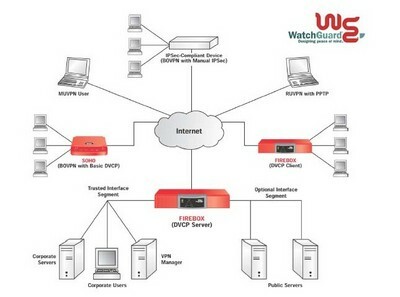 The system can be used with SIP trunks over a broadband Internet connection or conventional analogue and ISDN telephone lines. Download brochure. Hosted VoIP solutions are ideal for small companies that require a flexible telephone system with a minimal initial investment and a fully managed system. With a hosted system VoIP handsets connect to the providers PABX over a broadband connection and calls are routed out to the telephone network from the provider's site. For more information on VoIP telephone solutions and to find out which type of solution best suits your organisation please call.